Stephanie Gage runs the Treasure Seekers business with her brothers, Luca and Victor. Together they have recovered everything from missing paintings to million dollar coins while running their elite San Francisco agency. Now a specter from Stephanie’s old life, Joshua Bittman, enlists her help to find a prize of unimaginable worth—a rare Guarneri violin. Bittman knows that Stephanie will cooperate, because he will kill her father if she declines. 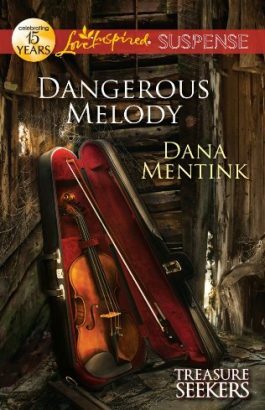 The Gage family faces their deadliest challenge in Dangerous Melody, the second installment of the Treasure Seekers series. Dangerous Melody nominated for the 2012 Reviewer’s Choice Award! Click here to read the “Romantic Times” review of Dangerous Melody.